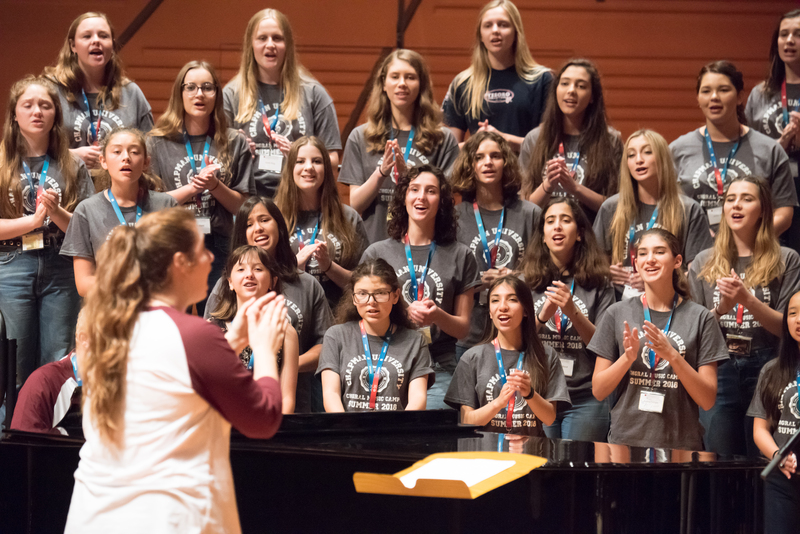 From Choral Campers to Counselors Inspired by mentors, many choral campers return to Chapman to help lead the next generation in song. They arrive as teenagers, just beginning to find their voices. 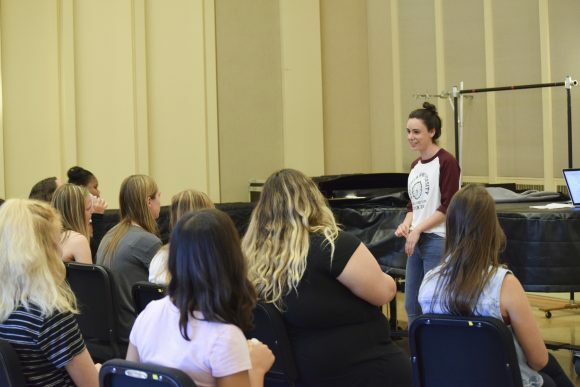 But many of the high school students who have flocked to campus the last seven summers for the Chapman University Choral Music Camp return, again and again. Some eventually become Chapman students, camp counselors and instructors, or even continue guiding young campers as Chapman graduates. This year’s camp drew 91 high school singers, including 10 from Orange High School. 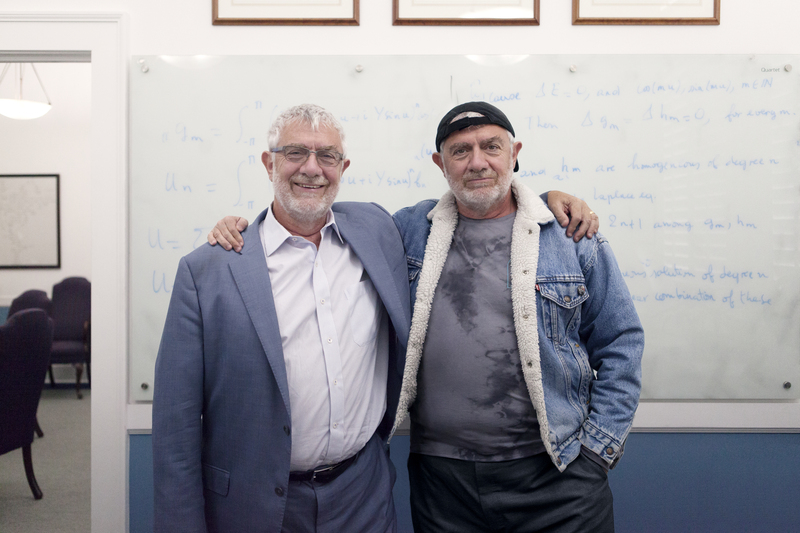 A group of 32 campers stayed on campus in student housing, and 39 campers received financial assistance to attend, thanks to the generous support of the camp’s sponsors, The Lloyd and Elisabeth Klein Legacy Foundation and Christine and Lon Cross. Singing is what it is all about, of course, but there are other aspects to the camp led by Keith Hancock ’02 (M.A. ’04) — the national Grammy Music Educator of the Year in 2017 for his work as choir director at Tesoro High School in South Orange County. Among the offerings: Swing dancing, taught by Marie Tobias ’20, who attended the camp in 2016, the summer before starting her first year at Chapman after graduating from Yorba Linda High School. She worked as an overnight counselor last year. 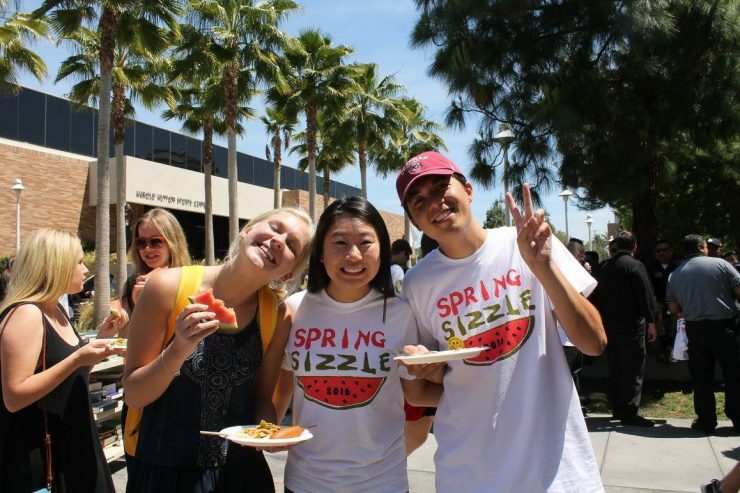 Mikayla Feldman ’17 first attended the camp in 2013, the summer after graduating from Foothill High School in Santa Ana before enrolling at Chapman. Since then, she has worked four camps – as a section leader, voice class instructor, music technology instructor, small ensemble conductor and even handling publicity. In Feldman’s music technology class, campers worked intently, wearing headphones in an Oliphant Hall room filled with computers and musical keyboards as they learned to use Logic Pro X, a professional recording program for Macs that is like a far more advanced version of Garage Band. “And by end of the week, they do,” she said. 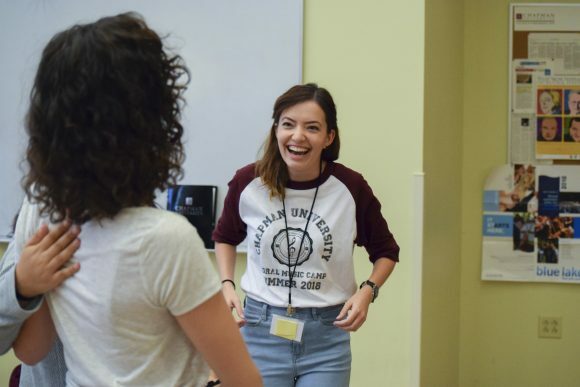 Feldman has gone from camper to college graduate with Chapman’s Choral Music Camp, earning a bachelor’s of music in vocal performance and a second degree in business administration. This fall, she’ll add a role as assistant director for the Tesoro High School choral program, working with Hancock. Feldman, Tobias and Segal are only some of the campers turned counselors. Others include Andy Vargas ’20, who attended camp in 2014 and ’16 and worked as an overnight counselor in 2017; Sydney Jarvis ’20, who attended the 2016 camp and was an overnight counselor this year, and Joseph Krumbein ’22, a camper in 2016 and 2017 who will be a first-year Chapman student this fall.